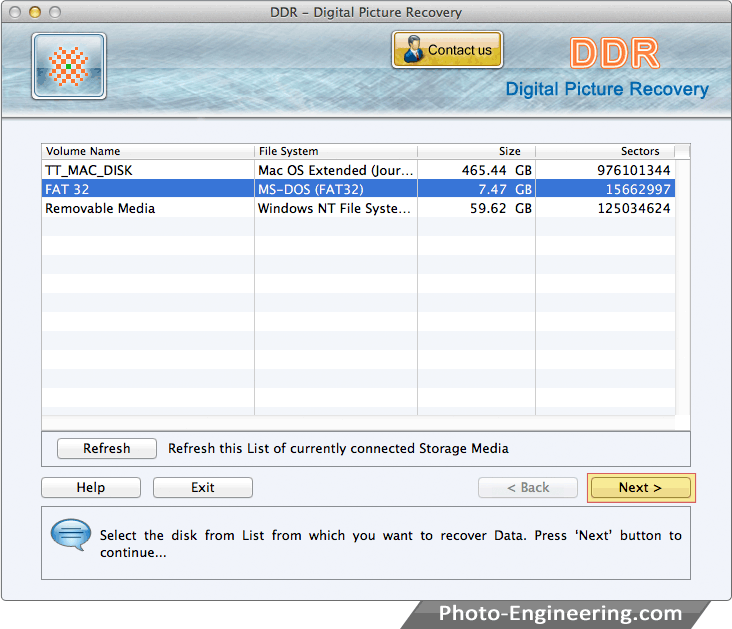 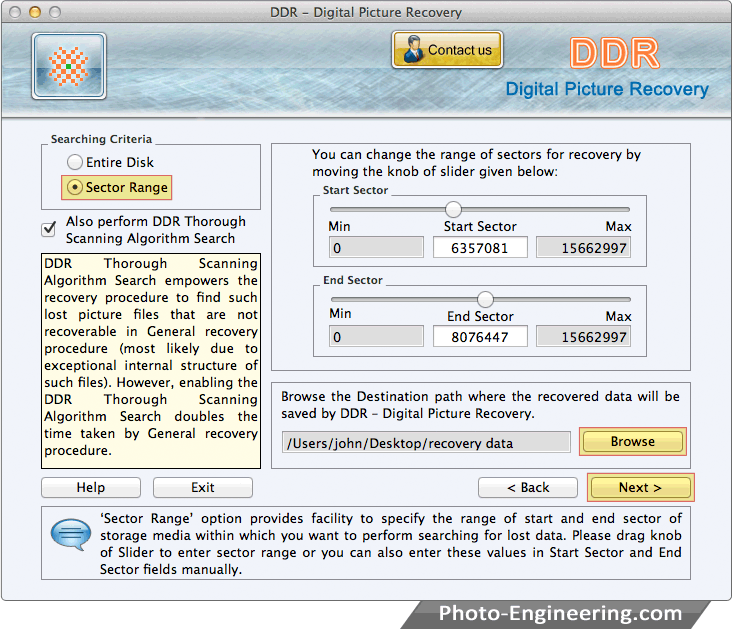 Choose any recovery mode and select the disk from list from which you want to recover data. 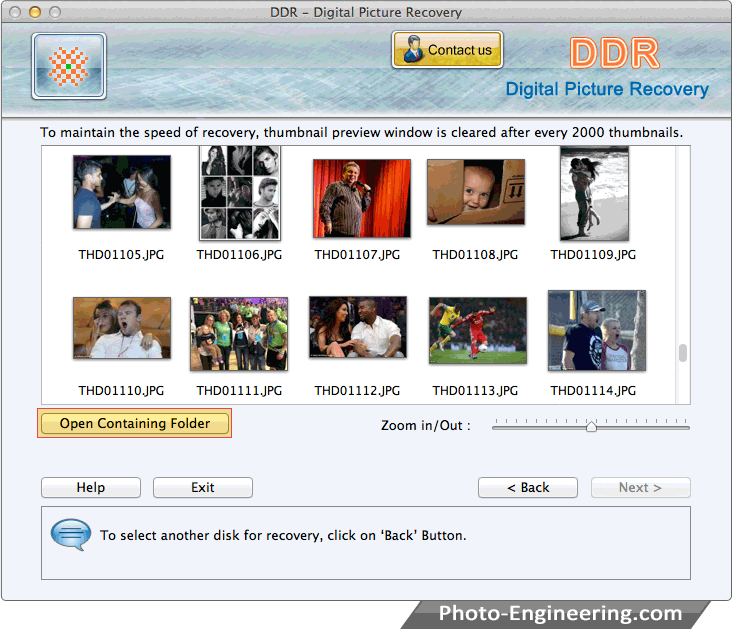 Click 'Next' button to continue. 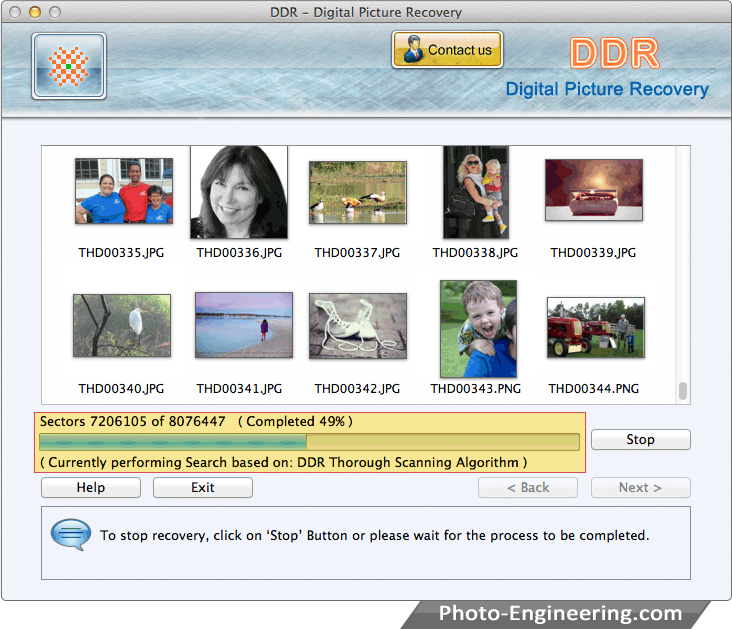 Choose searching criteria and browse the destination path where the recovered data will be saved by DDR - Digital Picture Recovery.